The Aquitanian rebellion was quickly put down, but the partisans of Karloman attempted to create strife between the two brothers. While Karol and Karloman remained on good terms through the mediation of their mother, Bertrada of Laon, the younger brother died of illness on 5th December 771, leaving Karol as sole King in Francia. 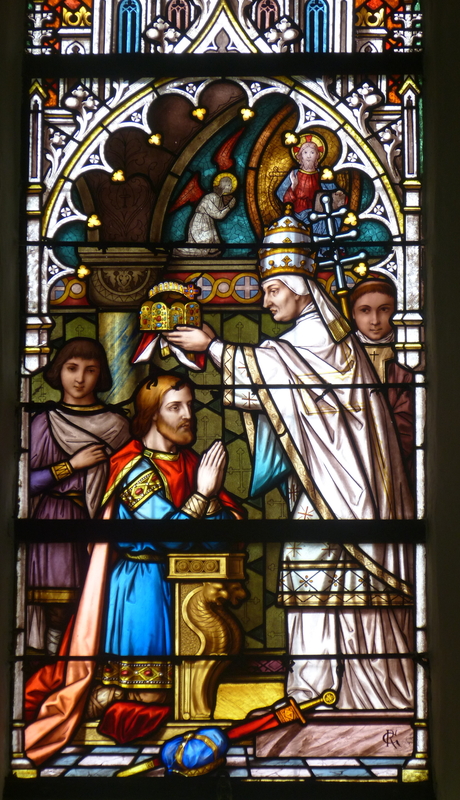 As King he continued in his father’s role as defender of the Pope, conquering the Lombards, receiving the title of Patrician of Rome, and with it the Iron Crown of Lombardy. 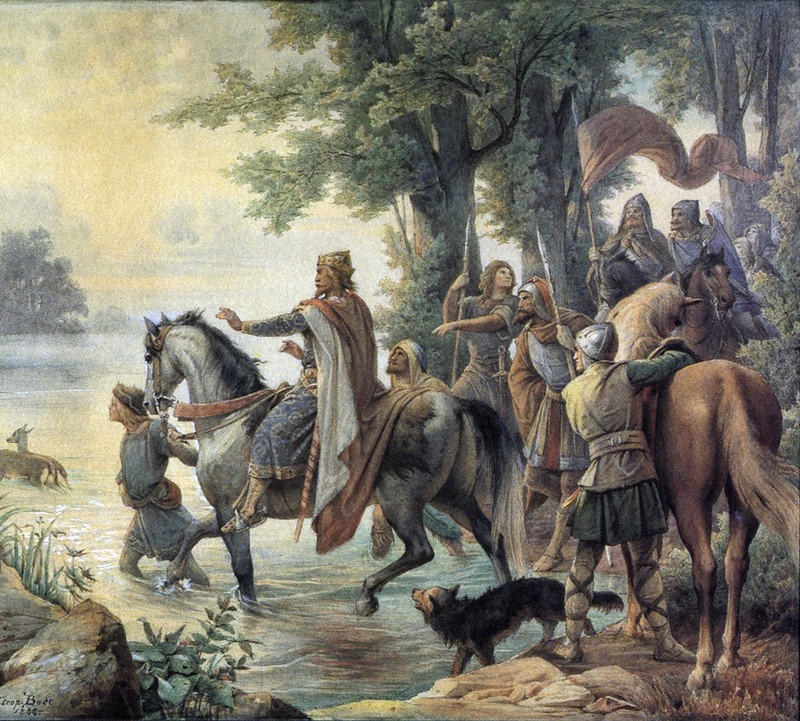 The continual raids of the Saxon pagans soon drove him to the sword, and it was while at the great diet near Paderborn (during which the Saxons submitted to the King as their overlord, as had the Thuringians and the Bavarians in the past) that he was approached by the Muslim Walis (governors) of Zaragoza, Girona, Barcelona, and Huesca. These Saracens and Berbers had come to give the Frankish King their homage, and in 778 he entered Hispania to accept their allegiance. There he was betrayed by Wali Husayn of Zaragoza, and with the aid of the armies of Sulayman al-Arabi and Abu Tawr ibn Qasi, King Karol besieged the city but to no avail. At last a revolt of the Saxons brought him back over the Pyrenees when the rearguard of his forces was ambushed by a force of Basques and the armies of Husayn at the Pass of Roncesvalles. In the ensuing battle Roland the Marchcount of the Bretons and many of the Palatine Guard fell, as later became renowned in the Song of Roland. Eventually in Karol’s wars with the invading pagan Saxons, Slavs, Bavarians, Danes and Avars, the borders of Christendom were secured and Widukind King of the Saxons converted to the Catholic Faith in 785. Rulers from such far flung realms of Europe as Bohemia and even Scotland (according to Einhard) accepted his overlordship, and asked for his protection. Even the King of the Persians, the Muʿtazilite Caliph Haroun the Just, sent emissaries to the Palace at Aachen in Austrasia, exchanging gifts which included a white war elephant given to King Karol, and granting the Frankish King dominion over the Holy Land. Here was one who could truly be called the King of the West, preserving the Roman Empire from that decay which ever threatened the freedom of men. In A.D. 799, Pope St. Leo III fled Rome to seek Karol at Paderborn. Pope and King proceeded to Rome and held a council to establish the Pope’s innocence of the charges rebellious Romans had leveled against him. Hearing that the Roman throne had become vacant in Constantinople and desiring to bring unity and peace to Christendom, St. Leo crowned Carolus as Emperor of the Romans on Christmas Day in the year of Our Lord 800, in the very St. Peter’s Basilica that had been founded by Constantine the first Christian Emperor. 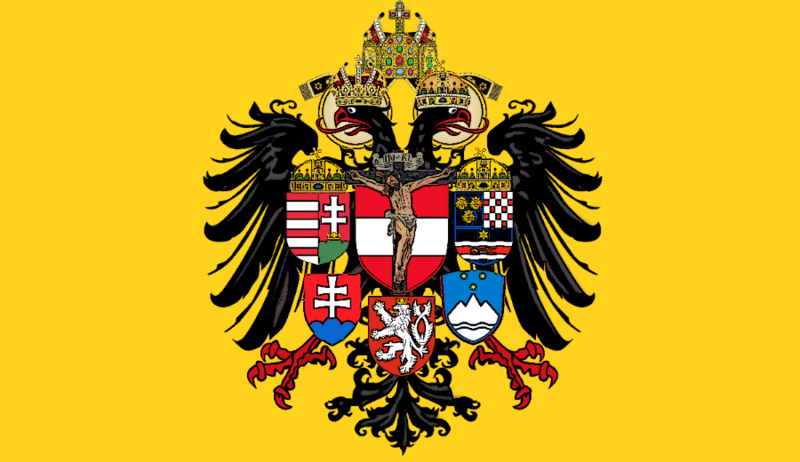 Not only was the Holy Roman Empire, the temporal realm of Christendom and protector of the Catholic Faith, established in the splendor of Ancient Rome, but Europe itself was first formed as the Catholic Civilization of the West from which all the countries of Europe and the various nations within them emerged. For fourteen years he ruled over an Empire that was to last over ten centuries, and he ruled it well. A man of virtuous and joyful temperament, he devoted himself to those studies befitting his office, including not only those of war and hunting, but of writing, literature, and music. His justice and wisdom became legendary even in his own lifetime, and though at times it failed (as in the execution at Verden), he ever strove to uphold it in all his realms. The years of his rule are known even to this day for the Renaissance which took place under his councilor Abbot Alcuin of York, a Renaissance not only of Art, but of learning, literature, architecture, law, military reform, and music (Church music and plainchant were dear to the Emperor’s heart). The Emperor had five sons, Karol the younger who was made King of the Franks, Pippin (born of a morganatic marriage) who rebelled against his father and later joined a monastery, Karloman Pippin who was made King of Lombardy and who was victorious against the Avars, Louis who was made King of Aquitaine, and Lothair the twin of Louis who died in infancy. 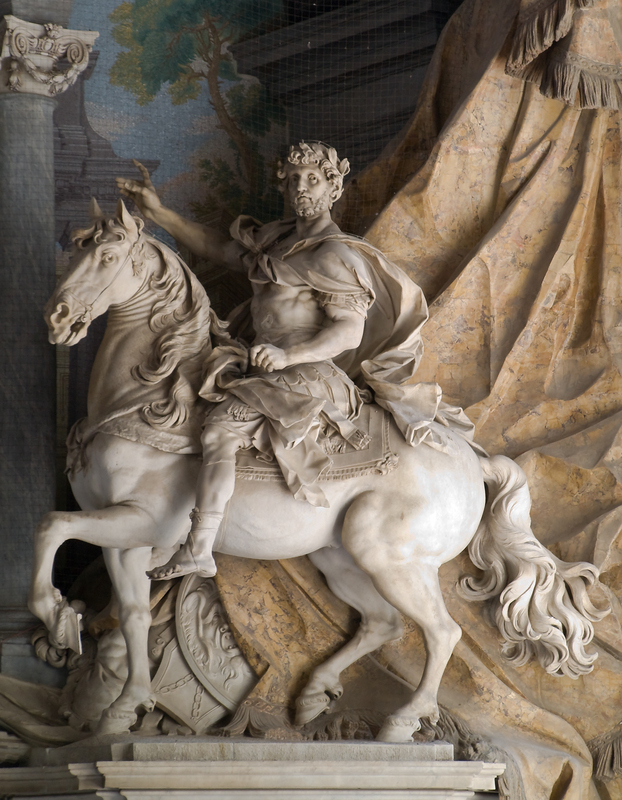 Of all of his sons only Louis the Pious survived his father, succeeding him as Emperor of the Romans. After having received Extreme Unction and the Blessed Sacrament, Carolus died of illness on the twenty eighth of January in the year of Our Lord 814 in the seventy-second year of his age and the forty-seventh of his reign. Buried in the Palatine Chapel of Aachen which he himself had founded, his body was reexamined by Holy Roman Emperor Otto III and found to be incorrupt. In 1165 Emperor Frederick I his body was reinterred in the Cathedral, and in 1215 placed by Frederick II in a silver and golden shrine where it remains to this day. Considered a Blessed by the Church, his feast is celebrated in Aachen and in certain dioceses of the Holy Roman Empire. Throughout the Sacred Ages, Carolus has come to be regarded as the archetype of the Catholic Emperor, his legend invoked from France, in honor the second Kingdom of Christendom after the Empire, to the Faroese Isles and beyond. He stands as a great beacon of hope and of valour in the darkness of the Fall, his Coronation a Sunrise in the West which brought men the light of a world healed from the wounds of decay. By the intercession of this Pater Europae, may Christendom rise again from its ashes, and may the Crown of Carolus, the symbol of Europe united, be restored to his true heir.